One of the most memorable ways to remember your vacation is through Gulf Shores sunset portraits. The coast offers a dream-like backdrop, which is absolutely perfect for your family portrait sessions. From breath-taking sunrises, picture perfect sunsets, to sugar white sands that will make all your friends dream of their own vacation. We are positive we can help you find a scene that is just perfect for your group. That is the cool thing about the Gulf Coast. It is just so dang beautiful at the beach right now. This is one of the reason's our little island gets so many visitors a year. Last night we had the opportunity to work with a beach princess for sure. She was so cute, and really enjoyed the family time on the beach while showing off her supermodel training skills. We had so much fun photographing her family, and she really knew how to turn it on for the camera. Oh, what fun the beach must be looking through a seven-month-old eye. Her little senses must be overwhelmed. From the seabirds to the sounds of the waves. Beach life for babies is where it is at for sure. This beach princess sure did agree, and surely would hang out at the beach every day of the year if she could. Everyone needs a little sand between their toes, no extra charge to the exfoliation, right? Fall is a wonderful time to visit the beach, so what are you waiting for. The crowds have gone back to school, and the heat warnings have expired. The Gulf is waiting, so hurry up and come on down. 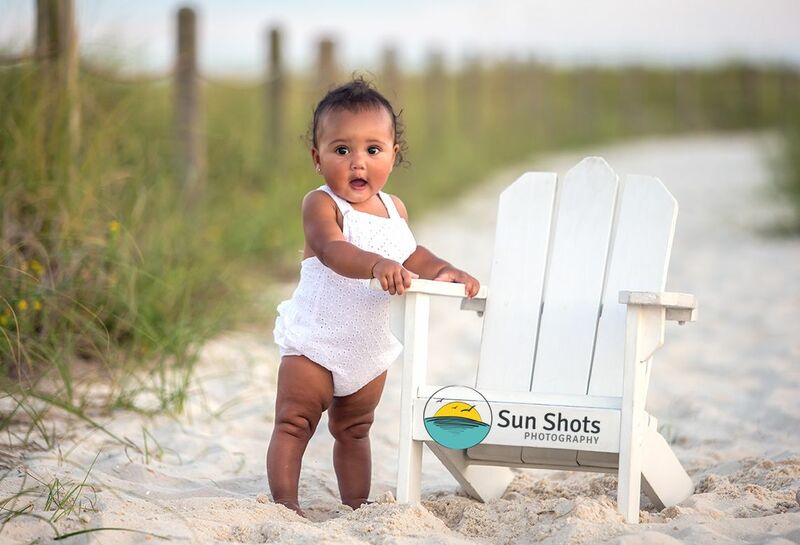 Once you get here, don't forget to book your very own beach portrait session. Your Gulf Shores sunset portraits await, we will make sure to leave the lights on, so drive careful but fast!